Embracing change is the best way to keep up with John Foot’s pace in his book, The Man Who Closed The Asylums: Franco Basaglia and the Revolution in Mental Health Care (2015). Foot’s holistic approach will appeal to anthropologists and general readers alike as he gathers insight on those who were recovering from both physical and psychological maltreatment in a post-war world (169). This balanced and fair-minded account of mental healthcare reform in 1960’s Italy shows that a hospital’s culture reflects how society at large is structured (175). The book explores how the psychiatrist Franco Basaglia persuaded members of the healthcare community to shut down asylums where abusive practices were being used on patients (133). These meetings lead to legislation where the delivery of mental healthcare would be incorporated into hospitals that covered the general patient population as more people discontinued the use of psychiatric asylums (374). Foot writes that, “As director in Gorizia, Basaglia quickly became convinced that the entire asylum system was morally bankrupt. He saw no medical benefits in the way that patients were treated inside these institutions. On the contrary, he became convinced that some of the eccentric or disturbing behavior of the patients was created or exacerbated by the institution itself” (22). Basaglia sought to make asylums more humane, but as part of a larger strategy to close down asylums altogether, since reform could not redeem an outdated model of healthcare that survived a period of fascism and the Second World War (157). Along the way, Basaglia did positively impact his patients’ lives. In his research, Foot finds that, “Patients were taking back some control over their lives and over those of their fellow inmates. They were becoming people again, even citizens, with responsibilities and rights” (148). More often than not, “the disappeared people of the asylums, those who had been shut away from real life, without rights and without identities, emerged from the darkness. They showed that they could think for themselves and organize their own lives” (148-149). Basaglia and his team members never fully settled on how to improve the hospital system, however it was understood by all that “it was the institution itself that was the problem” (149). A highlight of the book occurs where Foot expresses the disagreements, contradictions and discomfort of those wrestling with Basaglia’s ideas about psychiatry. The confusion behind, “who was really in charge?” actually anchors the point of the book (112). This question mutates and resurfaces in his writing, as Foot describes different leaders taking new positions during the 1968 movement. The expectations of both doctors and patients were constantly in flux with the existence of the asylum as an institution, “[W]here the roles of doctor, patient and nurse had also, to some extent, been put on hold. Everyone inside the institution was well aware of their objective status but most were trying to free themselves of their prejudices and of their past” (174). Foot writes, “Gorizia was not just about psychiatry or anti-psychiatry. It was also about medicine in general and role of authority in society as a whole” (89). In order to convey the feeling of how authority and power transferred constantly, Foot does just that as he privileges different sources of information. For example, he writes, “Only by shifting the focus away a little from Basaglia himself can we understand the central role he played in the movement” (49). Just before readers are completely immersed in the belief that Basaglia had so much influence, Foot gently, yet directly shares how there were limits to this one doctor’s plan as well. For example, he notices how, “The history of Italy’s radical psychiatric movement in the 1960’s and 1970’s cannot be written without strong and central reference to events and policies in Perugia. For this reason, the labeling of this movement as Basaglian is a misnomer” (234). Many of the lessons about belonging to a hospital’s administration were learned by staff from other neighboring places, like Perugia, not just from leaders in Gorizia. Foot further delves into this same point by saying, “The Basaglia-centric story is a linear one. It is easier just to ignore everything else that was going on” (252). Basaglia’s dissatisfaction was with the rituals of the older systems because “Nobody is meant to stay for long in these places. There is a conscious attempt here to avoid any sense of reinstitutionalization” (363). Foot does justice to the movement by developing a report that is devoid of heavy repetition and thematically progresses in the telling of a history that’s bigger than the individual behind it. Basaglia, and the team he belonged to, saw that “society itself… needed to be transformed” (180). The whole group was very aware that “the meetings were also understood as material to be studied and analyzed, almost as though they were a kind of ongoing research project. The patients were willing participants in an anthropological and political study of institutions undergoing change” (150). Foot’s aim to bring context carefully to these events comes from a continual fear among cultural historians and anthropologists of how often peoples’ stories are taken out of context and disregarded, saying, “patients were seen here, starkly, as victims of institutional violence. The movement everywhere, like that in Gorizia, needed to move forward, or it would simply create new forms of these institutions, or help them to survive” (176). The author’s greatest strength is how he represents the life behind the eyes’ of this movement. He seizes the moments most pertinent to this part of history as he writes, “Power should only be exercised in order to negate that power” (180). He exercises his own power as a historian and negates it in the form of weighing the dissension that evolved in the details of collected memoirs and notes. He also critiques both the strengths and weaknesses of their effort in a way that respects the whole picture in the frame. He writes that “They radicalized people, their writing and activity were extremely far reaching and the movement also gave them strength and power. But they were also victims of the worst excesses of the movement: the over-powering rhetoric, a tendency towards simplification and sloganeering, the excessive verbosity” (188). The true problem with having too much rhetoric was that, in the midst of clinging to their earliest ideas about reform, some of the leaders failed to imagine the harmful consequences that could happen after closing any asylum. Power is balanced by effectively giving each voice, including that of the patients’ and their families, a chance to speak in this book. The emotional toll these adjustments took on patients offsets the perfected plan, as Foot writes, “Along the way, great risks were taken. Some people were brutally murdered, others committed suicide. Families had to deal with sons, daughters, mothers and fathers who had serious problems, and who had been shut away behind closed door for years… The outside world was a difficult place in so many ways, it was easy for ex-patients to fall through the cracks in society. Once the asylum system had been done away with, the real work began” (393). One could argue, as Foot moderately suggests, that multiple decisions enabled Basaglia’s idea to come to fruition. As the psychiatrists pushed for reform they also networked to build an outpatient setting for their patients. However, Foot does remind his readers that the main healthcare team responsible for these actions did not anticipate how the patient population needed more room and support than the amount they were provided. Those temporary changes were not enough and Foot does not delve further to offer alternative solutions that might have made a world of a difference. His own goal, in recording these consequences, emerges as he writes, “The movement, as this book has tried to show, was polycentric, complicated, multifaceted and always influenced by local factors — historically, politically, culturally and institutionally” (234). By closing the asylums, psychiatrists were motivated to look outward and observe how social institutions such as schools and the family unit impacted the support systems of patients struggling with mental illness (243). Overall, Foot asserts that a transition this important “had multiple sources of power and inspiration” (254). Foot’s process as a historian runs parallel to that of the people in his book as he writes, “the idea was — always — to put mental illness into context. They were attempting to understand what they saw as the multiple and complicated causes of mental illness” (296). Foot knows that as a cultural historian he has a lot of control as he investigates different narratives. By checking his own authority as a writer he even undermines his own critical voice, but in a way that makes his authorship more compelling. Foot is motivated by the act of negation not nihilism. He does not terminate the existence of opposing ideas to serve his own ego-involvement as a documentarian witnessing the effects history has on today. He drives the reader to strengthen their intuition and construct a bigger image that includes the revelations and the irreparable messes from psychiatry’s past. Foot takes the time to test his own ideas to foster debate not destruction. In fact, it is Basaglia’s method of making sure “things were pushed to the limit, to expose the contradictions in the system” that inspires Foot, as he writes a mutli-vocal book about the discrepancies overlooked by previous historians (353). Foot continues to illustrate that, “Nobody had the right answer. Everyone made mistakes. Each area adopted its own road to reform, and success was measured in different ways. None of these roads were right or wrong. They were different, and they were all moving in the right direction” (284). Yet Foot’s own disappointment is in how cultural studies have fallen short of making room for the future, and the diverse viewpoints that come with it, arguing, “there is no point at all in simply repeating this standard story. It is already out there, in numerous versions – text, film, journalistic. For a historian, the only possible route is to take a critical approach to both the sources available and to the past itself” (343). Foot continues to explain the purpose of his methodology of negation by saying, “It is not easy to write about this movement, with its myths, splits, silences and possessive memories” (369). In other words, Foot sees that an honest historian, or clinician, will not treat any single perspective as an absolute. No one person can ever represent the whole puzzle, or cure for a social pathology, when all they have is a piece of it. Nirmala Jayaraman received a B.A. in Anthropology from Union College, Schenectady, NY. Her research interests include migration, family and kinship, aging, medical anthropology, cross-cultural psychology and public health. She has written book reviews for Allegra Lab: Anthropology, Law, Art & World, British Psychological Society’s The Psychologist, Anthropology & Aging, and Anthropology Book Forum. She is applying for future graduate study this year. Alberto Prunetti’s "Amianto. Una storia operaia"
Jayaraman N. John Foot’s The Man Who Closed the Asylums: Franco Basaglia and the Revolution in Mental Health Care. Somatosphere. 2016. Available at: http://somatosphere.net/2016/john-foots-the-man-who-closed-the-asylums-franco-basaglia-and-the-revolution-in-mental-health-care.html/. Accessed April 24, 2019. Jayaraman, Nirmala. 2016. John Foot’s The Man Who Closed the Asylums: Franco Basaglia and the Revolution in Mental Health Care. Somatosphere. 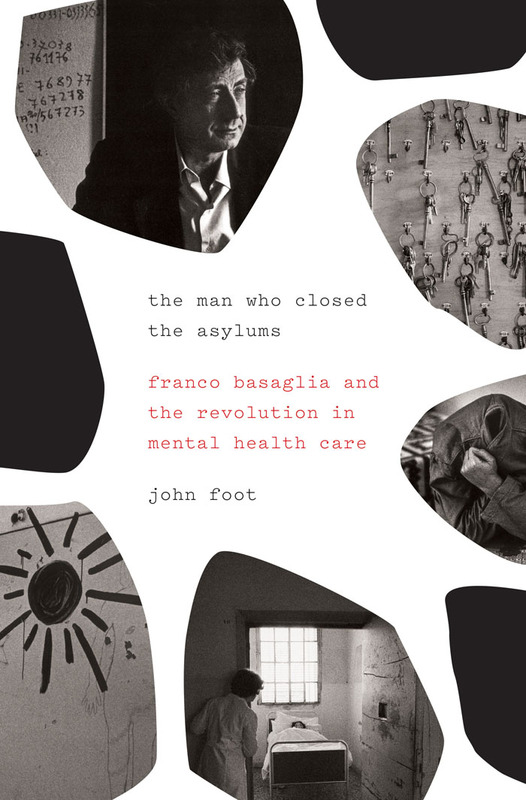 http://somatosphere.net/2016/john-foots-the-man-who-closed-the-asylums-franco-basaglia-and-the-revolution-in-mental-health-care.html/ (accessed April 24, 2019).